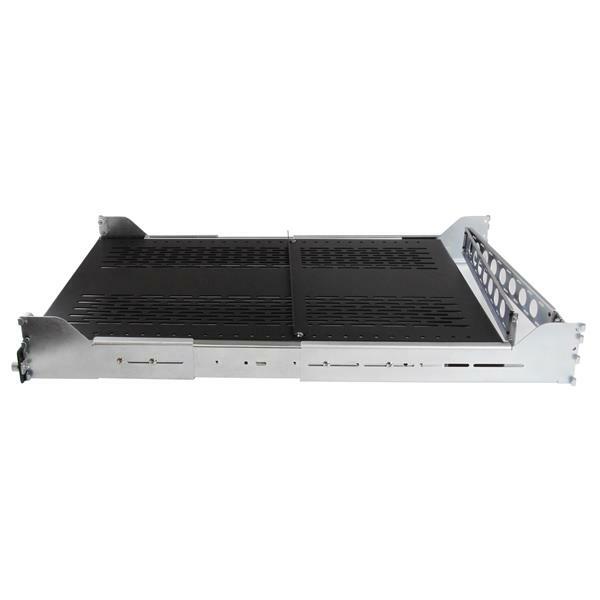 The UNISLDSHF19H Adjustable Sliding Rack Shelf lets you add a vented, sliding shelf with cable management into virtually any 4-post server rack or cabinet. This TAA compliant product adheres to the requirements of the US Federal Trade Agreements Act (TAA), allowing government GSA Schedule purchases. 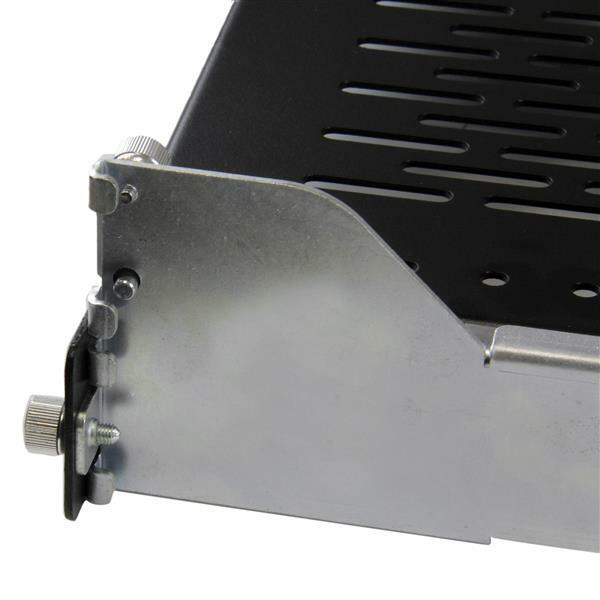 The adjustable mounting depth design allows the shelf to be installed easily into server cabinets with mounting depths from 29.4in (746.5mm) to 31.8in (807mm). 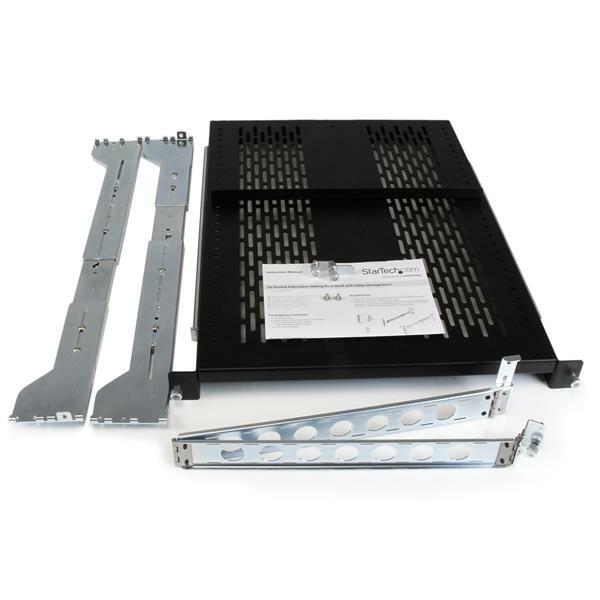 The sliding rails also offer a locking mechanism to stop the shelf from sliding out too far, or sliding back into the rack before maintenance is complete. 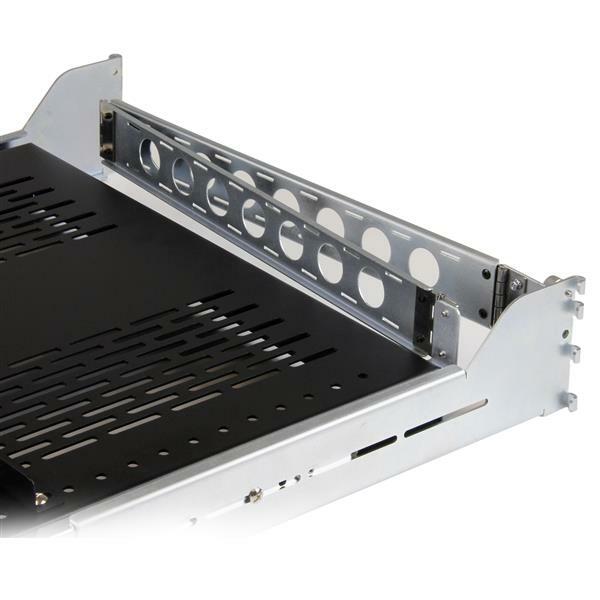 Offering a weight capacity of up to 200 lbs (90.7 kg), this sliding rack shelf features a ventilated, cold-rolled steel construction for increased airflow and durability in your server room or wiring closet installations.